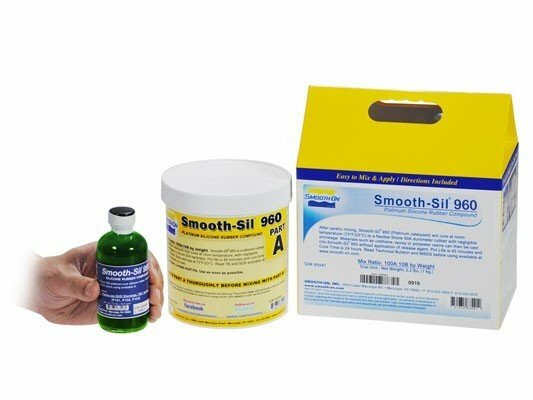 Smooth-Sil® 960 is a Shore 60A platinum cure silicone rubber developed for a variety of industrial applications. Compared to other 60A platinum silicones, Smooth-Sil® 960 has a relatively low viscosity and is easy to mix, de-air and pour. 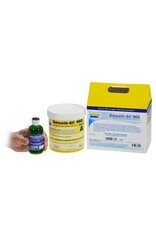 Silicone cures in 16 hours with negligible shrinkage to a firm rubber with high tensile and tear strength. Smooth-Sil® 960 offers good chemical and heat resistance, making this a good choice for production casting of resins and expanding foams. Because of its firmness, Smooth-Sil® 960 molds are also used for spin casting. It is also used for embedding and electrical applications.